Seattle Celebrates Gay Marriage & Legalized Marijuana! I created a new character inspired by the space needle called “Seattle Sam” last year & decided to post it. I’m working on a whole series of him/her!I have a child-friendly version too called “Lil Seattle Sam” & “Lil’ Spacey”. Seattle has GONE TO POT!!! 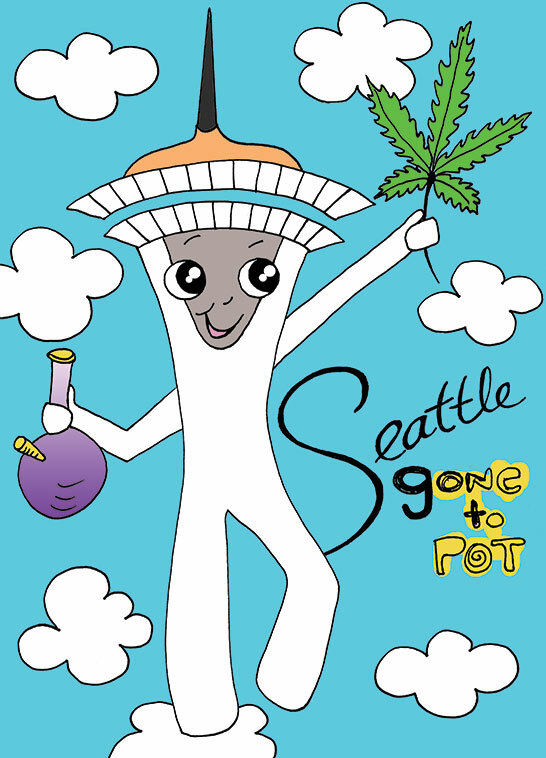 Bethann Shannon’s Seattle Sam cartoon character is celebrating legal weed ~ On Sale Today! I used my cartoon character , Juuichi Juuichi (a.k.a. “11:11”) in the video. My step mom & friends at Amazing Grace in Ballard, Seattle, helped me sing & we recorded it at Audio Logic INC with the fabulous Jay Kenny, who also played fiddle! Thanks everyone involved! My friend in Baltimore put motion to my cartoon character Juuichi Juuichi! Thanks Elizabeth! Lately, I’ve been thinking about this wild ride called life and all the different jobs I’ve had to support me and my true love…ART! 1) TWA Flight Attendant ~ Wow, did I LOVE that job. It suited me perfectly because I love people…I actually love serving people & love talking with pretty much everyone ! Where else on earth can you find a job with so much diversity? I also love the sky & clouds and I love to travel! I had plenty of time off to make art & play…it was perfect! Sadly, we were laid off. 2) AMERICA’S MOST WANTED TV SHOW ~ Yes! I was a “Hotline Operator” for AMW. I am a child advocate & have tiger mother instincts when it comes to protecting children & always watched that show for that reason. When I heard they were looking for operators & I jumped right in! Met John Walsh a few times at the studio & Xmas party… what a wonderful, kind man he is! I absolutely love him! I know you can see me on one of the old re-runs. It was a great job but after a year I had to quit because I was getting too depressed…you really need a thick skin to listen to all those horrible stories. I am just too sensitive. 3) ANIMATION ~ I love animation! So much fun! I worked at Mill Valley Animation, painting Gary Coleman, Smurfs and Pac Man cartoons & on the movie “The Plague Dogs” , painting cells, old style with Nepenthe Productions. They were the same people who made “Watership Down”. I loved it & I absolutely love cartoon & animation people! Most animation is done on computers now! BooHoo! 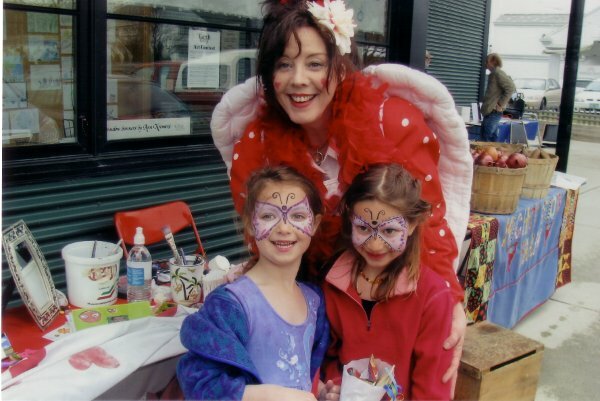 4) WORKSHOPS & PAINTING FACES ~ I have several workshops I’ve created that combine art & movement. My biggest passion…I love to dance & paint! Eventually, I will be offering my “SOUL TREK” dance trance & “CANVAS DANCE” art & dance workshops in Seattle. Face Painting too! I can’t wait to paint some faces! YAY! I am thankful for all the great non-art & art jobs I’ve had that have supported me to be creative. I’m learning now, how to animate my characters & hope to have them up on YouTube asap! I am consistently being stopped or asked if I’m Lauren Graham or Annette Benning! What a compliment indeed! I tend to get Lauren when I’m heavier in weight and Annette when I’m thinner. 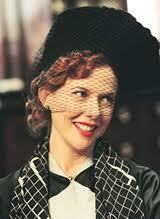 Several years ago , when my hair was shorter, a woman asked me for my autograph thinking I was Annette Benning! Sweet! It would be fun to be either of those fabulous leading ladies…if only for one day! They happen to be 2 of my favorite actresses as well! THE ART ANGEL – MY WINGS! The Money Angel says: SUPPORT THE ARTS! Where have all my wings gone? My favorite pair I lost on an air plane (left them in the overhead compartment)! Someone must of liked them because they were never returned. Maybe they needed them more than me…I miss them nonetheless. My other favorite wings I gave to my buddy Stewart because I had to move & he liked them. They were green. 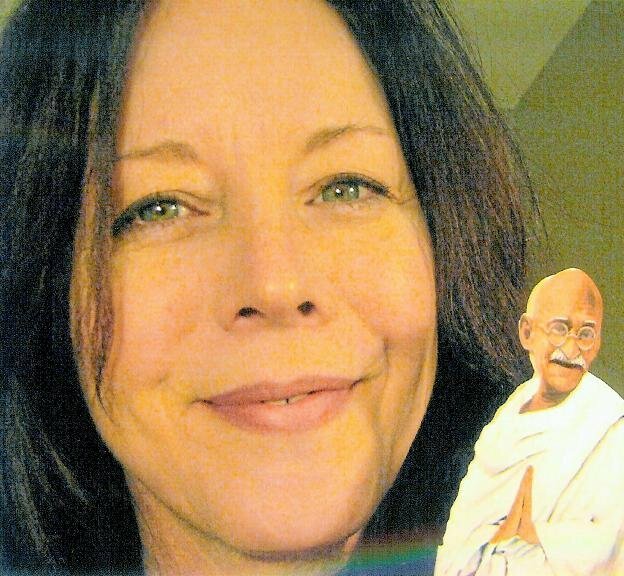 I had just won the “GREAT GREEN BALL” annual window dressing contest, fundraiser for the arts, in Asheville, NC. My theme was “Give Your Green To The Asheville Art Scene”, so, I dressed as the “Money Angel” to support the arts. It was super fun! But I’m wingless again! Back to the sewing machine…I’m ready for a new pair!